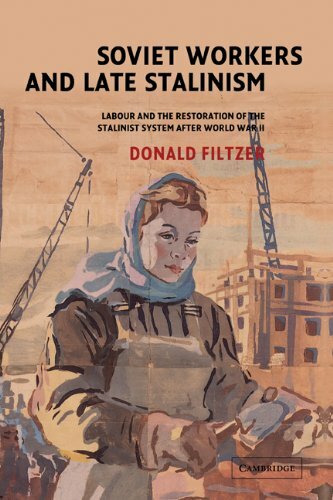 Donald Filtzer's new book is the study of industry and labor during Late Stalinism, covering the entire post-war period from 1945 to Stalin's death. He has uncovered a wealth of previously inaccessible archive material and analyzes it to show that the post-war period was one of "political victory and historical defeat". This subtle and compelling study will be of interest to all scholars of Russian history. Donald Filtzer is Professor of Russian History at the University of East London, and the author of numerous books and articles on Russian history.